I am Ruth, mother of Gloria, daughter of Joyce and sister to many. I am a reflection of all that surrounds me. I am love, lover and beloved. Born and bred in Hexham, Northumberland, I left for London to study for my Women’s Studies BA (Hons) degree when I was 22 years old. After completing my degree, I was elected to be the Women’s Welfare Sabbatical officer at the Students Union for a year before fleeing the bright lights of London, to the mountains of Spain to live in my Tipi and be close to nature in an eco community called Beneficio. Where once again, I found myself in the service of women. Working alongside the Da a Luz (Translation: To give birth/ To give light) midwives to run a weekly antenatal group. The pregnant women from Beneficio and the surrounding areas would come to the weekly group for yoga, to socialise and to meet with the midwives and other birth practitioners. I spent 6 years living in Beneficio and with the Da-a-Luz midwives, learning from women who had real experience of natural undisturbed birth, and seeing first hand the benefits of choosing your care providers, building up a trust with them and having a more holistic approach to pregnancy and birth. I continue to gain a wealth of knowledge and experience with the Da-a-Luz midwives and doulas on my regular visits back to Spain. I love to dance. Over the years, I have studied different forms of African and Afro-Brazilian dance and love how i can bring dance into my birth work. For me, the movements of these dances resonate with the essence of birth: the spiralling of the hips is the spiralling of the birth energy. For a pregnant woman, dancing gets you in touch with your body and baby. Dancing during pregnancy strengthens your pelvic floor and can support optimal foetal positioning, it also releases oxytocin into the body, the hormone essential for effective contractions and a smooth birth. I believe that dance and movement enhance pregnancy and birth massively, helping both mama and baby prepare for their birthing experience and get into more comfortable positions during labour. 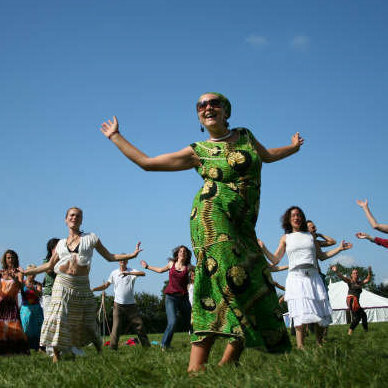 I ran Mamabeat antenatal dance classes for many years, which were hugely popular, and I hope to run them again one day. As part of my doula work, I have come to love and appreciate the placenta more and more for the job it does during pregnancy and for the medicine it provides postnatally. The first time I encountered the healing power of the placenta was while living in Beneficio. A woman had given birth to twins and was bleeding heavily. We were a long drive from the hospital and western medicine. We tried many things to stop her bleeding and as a last resort, I gave her some of her placenta to eat and within 10 minutes her bleeding had stemmed and the colour had returned to her cheeks. I know that this is only one case, but the speed and efficiency in which the placenta worked has me convinced of its power to heal. After that, I started to research about the placenta and in 2013, I trained with IPEN to become a placenta specialist. I now work with IPEN to train new specialists so that even more women can benefit from this miraculous post natal healing. In 2008, I returned to my home town of Hexham and in January 2009 I gave birth to my daughter. A beautiful and gentle, drug-free, home water birth, supported by my wonderful doula, Jenny, my dear friend, Olga, and my lovely midwife, Pauline. My birth was truly the most empowering thing I have ever done. A real rite of passage: I felt invincible and ready for anything that parenthood could throw at me! Having experienced childbirth first hand I felt confident in my ability to support birthing women in an empathic and compassionate way and so when my daughter was 3, I decided to join Doula UK and “officially” become a birth doula! Since then, I have supported numerous families in a wide variety of birthing situations. I now find that I am as adept at supporting hospital births as much as I am with home and unassisted births. With each and every birth I support at, I find affirmation that I am truly blessed to have been called to working with women and to witness the miracle of birth. For many years, like a lot of women, I suffered from heavy and irregular periods. I sort help from the NHS and private Gynaecologists, and having found no joy, or cure, in the western medical system, I turned to more traditional forms of healing. In 2013, I attended a truly transformational womb wellness day with Bushra Finch, the founder of Mizan Therapy. I learned about what was causing my menstrual problems and what I can do to help myself. The following year, I trained with Bushra to become a Mizan Therapist so that I may support other women on their healing journeys. I now assist Bushra with the practitioner trainings and I am part of the Mizan Fulcrum, the organising body of Mizan Therapy. In conjunction with Mizan Therapy and The Red Tent I run educational workshops for young girls, teaching them in a fun and supportive way to prepare them for their first bleed and how to harness the power of their menstrual cycle. In recent years, we have seen a very welcome surge in The Red Tent movement. The Red Tent, in traditional nomadic societies, was the space where the women would go to gather together, they would go there during their menstruation and to give birth. It was a place where wisdom was shared, tears were witnessed and joys were celebrated. Within our modern society, we have had so many of our traditional ways stolen and hidden from us, and have found ourselves suppressed and lost in a world where our voices are not heard and have lost our connection to our bodies, and more specifically, our wombs. The Red Tent movement seeks to reconnect women with their inner knowing and to support them in their ever changing and busy lives. The North East is full of amazing strong women, and I would love to see them become even more invincible! and so… I am currently working on a very exciting project to set up a permanent Red Tent space here in the North East. A place to gather and learn, but equally a place to relax and be nurtured. For me, this is the future of women’s empowerment, and I look forward to welcoming you all there in the near future. I feel it’s important to keep learning and so over the years have undertaken a variety of training and CPD study days, where I have increased my knowledge on how best to support a woman with her reproductive health. If you’d like to know more then please get in touch. I love how Ruth offers support to women from a genuine, authentic and empowering place. 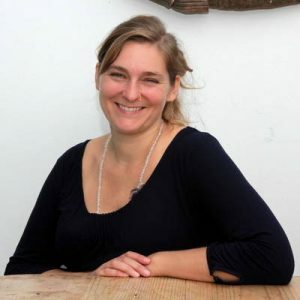 She has such passion, wide and varied knowledge and skills – whether you’re seeking her for a one-off massage or continued support as a doula, her expertise, integrity and holistic approach are invaluable and I highly recommend her. Ruth has been an amazing support during my pregnancies and early years of parenthood. Her gentle wisdom and healing motherly touch/ massage have helped me through some tough times. Ruth knows her stuff and is a wonderful person to have around, especially through periods of transition. Ruth’s treatments and services were amazing! Not only was she very well informed and professional but she has a wonderful gentle loving demeanor that made her lovely to work with! I highly recommend her! What an ability to connect, nurture and walk with you while you find your own way Ruth has. Get in touch with her right away! Knowledgeable, professional and compassionate. I recommend Ruth to anyone wishing to connect more with and heal the feminine physically, emotionally and spiritually . Ruth is a kind, warm, steadying sort with a fantastic sense of humour and years of experience. Ruth has a natural, open way about her that instantly puts you at ease. Her professional approach at a time when I didn’t know which way was up after giving birth was greatly appreciated! If I could gift any mother-to-be be one gift, it would be Ruth! Ruth is so nurturing, pragmatic and kind. I highly recommend her.